In Houdini, you can use expressions in parameters and in VEX snippets to accomplish complex and interesting effects with just a bit of math. This page demonstrates a few useful formulas and tricks to use in expressions. See expressions for the basics of HScript expressions. See VEX for more about the VEX language. On this page the expressions listed often have ch() functions to access values from parameters. See spare parameters for how to set up custom parameters your expressions can use. Future versions of Houdini will move toward having users use VEX to modify geometry instead of allowing HScript expressions to modify local variables, because VEX is much faster. You can convert degrees to radians using the radians function. For examples of randomization in HScript expressions and VEX, open $HH/help/files/RandomExample.hip. The random number functions always return the same number given the same seed value. This makes “random” values repeatable between playbacks. However, to make sure that different points/particles/objects/frames etc. get different random values, you must vary the seed. If you need random values for sub-frames, use the fractional frame number $FF instead of $F. If you need more than one random value, such as R, G, and B values for a random color, give each call to rand a different seed value by multiplying or adding to $F, for example rgb(@Frame, @Frame * 10, @Frame * 100). Otherwise each call will return the same number and the color will be gray. If you need a random number to span from -X to X, you can use rand(seed) * (2 * X) - X. The random number is in the range 0-1. Use the fit01(n, newmin, newmax) function to map the random number to a different number range. The fit10 function is similar but reverses the mapping. For example, fit10(.3, 5, 20) == 15.5. The fit(n, oldmin, oldmax, newmin, newmax) is a more general form that lets you map any number from one range to another range. For example, fit(3,1,4,5,20) == 15. The fit functions exist in both the HScript expression language and VEX. The following will randomize every primitive color on every frame. For examples of cycling values in HScript expressions and VEX, open $HH/help/files/ModulusExample.hip. The modulus operator a % b is the same in HScript expressions, VEX, and Python. It returns the remainder after dividing a by b. This is very useful because given a value that increases continuously (such as the frame number), you can produce a value that wraps around a range of values. If you try this with a floating point value, you can get unexpected results. For example, 3.14 % 1 returns 0.14, and 34.999 % 5 returns 4.999. For examples of ripples in HScript expressions and VEX, open $HH/help/files/RippleExample.hip. To get mathematical radiating ripples, base the point position on a sin function using the distance of the point from the center of the surface. For examples of ripples in HScript expressions and VEX, open $HH/help/files/ArcExamples.hip. You can use sin and cos to generate positions along an arc or circular path. You can create a spiral by increasing the position in the third dimension as you control the other two with sin and cos.
To play with this example, open $HH/help/files/logSpiral.hip. The example uses channel references to get values from parameters. For examples of using waveforms in HScript expressions and VEX, open $HH/help/files/WaveFormExamples.hip. Waveforms are very useful for generating mathematical repeating placement, size, or motion. 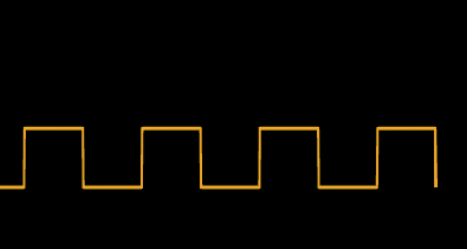 A step function takes a continuous input and converts it to an output in discrete steps. For examples of sin waves in HScript expressions and VEX, open $HH/help/files/SinFunctionExample.hip. The sin (and cos) function are useful for creating of all kinds of shapes. You can use the basic sin function to transform a line or surface into an oscillating wave. The basis for the wave: to animate the geometry of the wave, this could be set instead to (@P.x + @Frame). Controls the number of waves. You could set this to the bounding box position, $BBX, to make the waves more frequent towards the end of the line. Controls the height of waves. You could set this to the bounding box position, $BBX, to flatten the waves toward the end of the line, or the current frame, @Frame, to make the waves larger as the animation progresses. Translates the waves "up" or "down". For examples of deformations in HScript expressions and VEX, open $HH/help/files/Deformation_Examples.hip. You can alter point positions using HScript expressions in the Point SOP, or using VEX in the Attribute Wrangle SOP, to create geometric deformations such as shear, taper, twist, squash, and bend. You can get the common deformations much more easily through the Twist SOP. However, you can use these expressions if you need to customize or elaborate on the simple deformations. Remember that the equivalent of $BBX in VEX is relbox(@P).x.